Here's a contest that's easy to win. 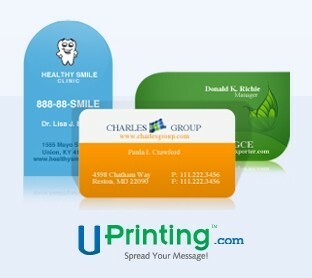 UPrinting.com is sponsoring this contest with prizes of personalized, top-notch business cards. Thank you, UPrinting.com. 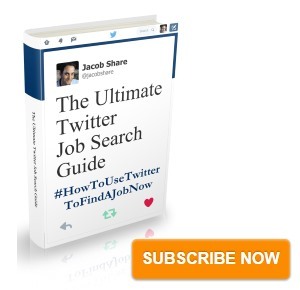 This is the first contest as part of the run-up to JobMob's 5th Anniversary on March 21st. Stay tuned for more contests over the next few days. At the bottom of this article, leave a comment about the most memorable business card you've ever seen. A business card that you saw online (maybe even on JobMob? ), in someone else's hand, etc. The winners will be the 3 people with the most impressive comments as judged by me. 3 people will each win a package of custom business cards using high-quality, die-cut cardstock. To be considered as entries in the contest, all comments must be submitted before Monday, March 26th, 2012. This site in general has some seriously nice card designs. Omer, Roseli, David- just wanted to tell you guys that I extended the deadline of this contest by a few more days, simply because it’s easier for us if all the contests end at the same time. The second contest was just posted too. As a Jerusalem Business Networking Forum organizer, I am constantly reminding our members to BRING BUSINESS CARDS to our networking meetings. I have a friend who is constantly forgetting where she put them and just before a meeting! To make good business contacts, you need business cards with you at all times. You never know when you are about to meet someone of business importance! I have seen many nice, innovative business cards, but my experience has shown me that it is not only the design, but the size-the card should be of the standard business card size. It is annoying if it in too big. People keep them in a stack and a odd size card may seem to you like an eye-catching idea, but it is not friendly to the recipient. The card should not be too flimsy. It should be of a standard card stock weigh. Also, some told me that if a business card does not have a proper address (not just email, website, and phone #) it may be considered by some business people as not a legitimate business. Even though I am against this view, you may want to check what the standard expectations are in your business arena. I extend an invitation to anyone who may have an interest is business in the greater Jerusalem area to join JBNF, a top business networking forum in Israel. See http:/www.meetup.com/jerusalemBNF/ – Come and BRING YOUR BUSINESS CARDS!! Well said Avigail, I usually keep 5 cards in my wallet just in case. Provided a card is of standard size, nice design and texture does stand out. In last couple of years it almost became mandatory for tech minded people to put a qr code, LinkedIn and twitter contacts on the card which is now arguably more important than a phone number or a physical address. I have no connection to Marc other than I find the information on that site useful. At this site you can select the size you want for various applications: clothing, custom merchandise for conferences, and -remember!– to put on those new business cards! 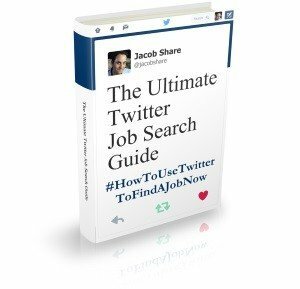 I was at a job fair, scurrying around passing out cards and resumes and trying to stand out from the mob. In front of me, waiting to talk to Lockheed, another seeker started chatting with me. I handed him my card as we approached, and he pulled out a pocket-sized spiral-bound notebook and wrote his name, number and address. He tore off the page and handed it to me, and I just felt sorry for the guy. That night, as I was going through all of the propaganda I had collected, I tossed almost every business card except his. I set it on my valet so I could put it in my Rolodex the next day. As I was putting it in there, I realized that his card was probably one of the most-kept cards from the fair. Jeffrey Gitomer’s business “card” is one of the most unusual, more like a medal – it’s a bronze coin with a relief of Jeffrey’s head in profile and the inscription “In sales we trust”. AT THE TOP IS A PORTRAIT OF SHLOMO WITH A HALO OVER HIS HEAD. Let’s Network cards given out at networking events. Name, email and phone number. Very cute, creative and catchy. Nice cards. This page has tons of tutorials to help you design your next business card. Choose the one you like and start experimenting. My most memorable business card was part of a memorable experience. I grew up in Montreal. This happened when I was attending my first hockey game. I was probably about 10 years old at the time. Shortly into the first period of the game, Roger Doucet, the guy who always sang “Oh! Canada” at hockey games in Montreal came and sat down across the aisle from us. This was very exciting. He was an icon in Montreal. Needless to say we asked for his autograph. He produced this little folder which he inscribed, and inside the folder was his business card as well. Often, too much attention is paid to the design of the business card. Contact information should be easy to find and read on the card. The design of the card should also fit the industry; I have a business card of a printer made out of some kind of funky semi-transparent material. It showcases their printing ability. From a agricultural cooperation, I once got at an international agricultural exhibition a business card with a few forget-me-not flower seeds on it and the slogan: forget me not! The most memorable business card that I ever got was one of CEO of a high-tech company. It featured his picture with piercing eyes and a big smile. One of the coolest I have seen is web developer had his business cards printed on 80 mm CDR’s. So his contact information was on the CD as well as his portfolio.